[Updated] There was a road traffic collision today [July 13] on East Broadway in the area of the Rubis Service Station, with the police confirming that the parties involved were on motorcycles and that the incident took place at about 10.30am. 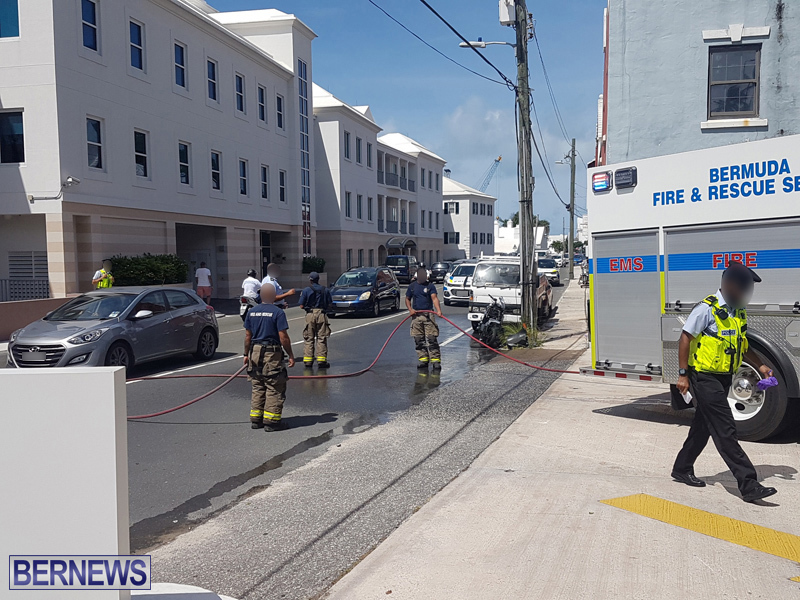 Update 5.36pm: A police spokesperson said, “Around 10:30am today [July 13th] police and fellow first responders were dispatched to a reported two motorcycle collision on Crow Lane in Pembroke. “Initial information indicated that the collision occurred near the junction with Lane Hill and that the rider of one of the motorcycles involved, believed to be a 28 year old woman, sustained facial injuries. “An update on her medical condition is anticipated in due course. “Traffic diversions were in effect for approximately an hour and inquiries continue. Accident by Rubis Gas station. Nowhere near Lane Hill junction. So who did what? Who was at fault? What stupidity occurred? I am no longer going to give out recomendation for safe riding on motor cycles as it a waste of my time. The T.C. D. is a fault, when you can get a drivers license out of a Cracker Jacks box. The new bike learner should have “L” permit plates be for one year, with no accidents or other tickets,to their credit. We need to know who they are. The trafic penalties are not strict enough. Bermuda roads and conditions are not safe for our visitors these hooligans clearly don’t care . Now…when I had a public service vehicle it had to have a designated parking area …TCD would come to your property and view your parking …in order tour have that public service license/vehicle. This clown drives accross private property to park in a layby turnaround ….sorry…this is private and I do not Grant access to said property for public service vehicular traffic I have it. Now if this taxi does not have a designated parking area revoke his licence.I allow emergency services only. Not tenants of neighbors…or commercial vehicles unless invited to do so!